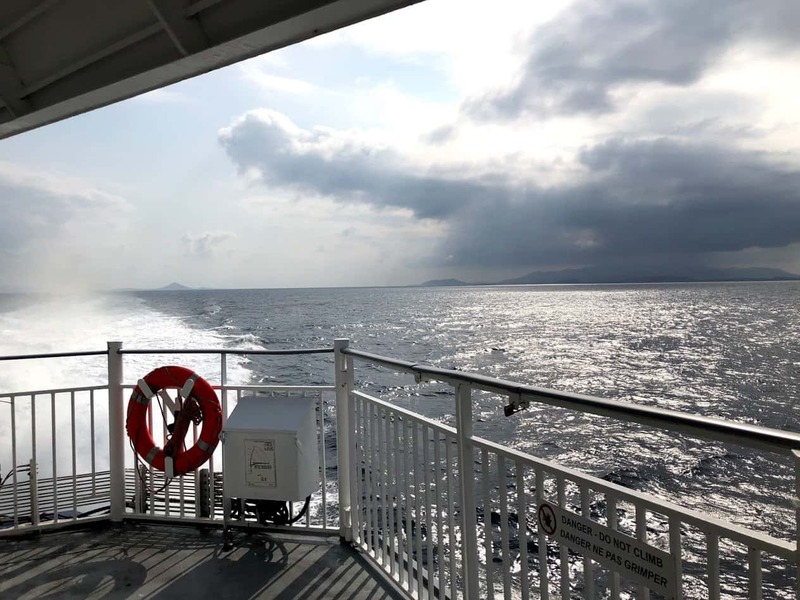 At the moment there is no direct ferry connection from Athens (Piraeus or Rafina) to Skiathos and the rest of the Sporades islands. Don’t worry though! The port of Volos is currently the top port destination if you want to get to Skiathos by ferry anytime in the year. Find out further below all the ports in mainland Greece that you can reach from Athens and from where you can travel to Skiathos. The ferries to Skiathos depart from the port of Volos and Mantoudi in Evia during the whole year, and from the port of Agios Konstantinos only in the summer. All these ports are located north east of Athens and you can get there by car or bus. Search ferryhopper for all the available ferry routes to Skiathos, choose the port that suits you and book your ferry tickets easy and fast! Volos is located 320 km away from Athens and the journey takes approximately 3 hours and 40 minutes by car. There are regular buses (KTEL) travelling from Athens to Volos, and they usually depart from the Liosia bus station. The port of Mantoudi is in Evia, in a distance of 140 km from Athens. You can reach Mantoudi by car or bus in approximately 2 hours and 15 minutes. Agios Konstantinos is a small coastal town and port, located 167 km away from Athens. You can get from Athens to Agios Konstantinos by car or bus and the journey lasts approximately 2 hours. The port of Volos has regular itineraries to Skiathos throughout the year. During the winter there is one or two ferries departing daily from Volos to Skiathos. In the summer months the Volos - Skiathos ferry route becomes quite busy and you can find more ferries that depart from early in the morning until later in the afternoon. The ferry connection Volos - Skiathos is operated by conventional ferries while there is often the option to get a flying dolphin or a high speed vessel. The duration of the ferry trip to Skiathos depends on the type of vessel that you choose. Indicatively, the conventional ferry takes approximately 2 hours 45 minutes, the high speed ferry takes approximately 1 hour and 40 minutes while the flying dolphin trip lasts a bit more than 1 hour. The port of Mantoudi in Evia connects daily to Skiathos during the whole year. There is usually one ferry departing every day from Evia to Skiathos at different departure times so we would recommend to check ferryhopper for the ferry schedules available on the day you want to travel. Mantoudi port is in close distance to the islands of Sporades and the ferry trip to Skiathos takes from 1 hour 15 minutes to 2 hours 30 minutes, depending on the ferry itinerary. The ferry route Agios Konstantinos - Skiathos is active only during the summer months with ferries departing once a day, usually in the morning. Agios Konstantinos is located south of Volos which means that the ferry trip to Skiathos is slightly longer. The Agios Konstantinos - Skiathos ferry route is usually operated by conventional ferries and it lasts approximately 3 hour and 30 minutes. Although there is no direct ferry connection from Athens to Skiathos you can easily reach the ports in the east coast of Greece, like Volos, Mantoudi (Evia) and Agios Konstantinos, which serve ferry itineraries to Skiathos throughout the year. On ferryhopper you can find all the available ferry schedules to Skiathos, decide which departure port fits with your holiday plans and book your tickets to the Sporades fast and in the best price! The ferry rides to the Sporades islands might get a bit bumpy and there is a chance to get nausea. You don’t have to worry, the ferry trip to Skiathos is quite short and the ferry crew could provide you with an aspirin if you feel seasick. The port of Volos is located in Volos city centre, a beautiful coastal city with great food and many nice shops, cafes and restaurants. We recommend that you get to Volos a bit in advance of your ferry departure time, enjoy a stroll around the city and have a coffee or a tsipouro by the sea. Before you book your ferry tickets to Skiathos we recommend that you check the ferry route details as few ferries to Skiathos serve reverse itineraries across Sporades island. This means that the port of Skiathos could be the last stop of the ferry itinerary instead of the first port that the ferry reaches, which will also affect your ferry trip duration. If you plan to bring your own vehicle to Skiathos you should be aware that the flying dolphins and the high speed ferries that usually travel from Volos to Skiathos do not carry vehicles. If you wish to travel with your own car or motorbike you should search for the itineraries operated by conventional ferries.